Thanks to Minute® Rice for sponsoring this post. As usual, all opinions and thoughts are my own! It's another cold and snowy day here in Minnesota again today. Days like these are actually my favorite! I love being nice and cozy inside our warm house, looking outside and the gorgeous white snow falling. My sisters feel the same way about snow as I do, but most people think we're absolutely crazy! I guess we really are true Minnesotans, and I really can't imagine living anywhere else! When the weather is a little on the chilly side, I always crave a nice warm, hearty bowl of soup! Today's recipe totally fits that description and more! It's very easy to make and full of veggies and grains! I tend to lean more towards meatless meals around here since my daughter isn't much of a meat eater, but this recipe would be delicious with some leftover rotisserie chicken breast added in. This soup is great for weekdays or even weekends since it's ready in less than 30 minutes! The mushrooms add a delicious flavor to the broth, along with the rosemary and fresh parsley. I had some friends taste test this recipe with me and it got rave reviews all around! My friends 3 year old even loved it! When you are making meatless meals, Minute® Multi-Grain Medley or Minute® Whole Grain Brown Rice are the perfect ingredients to use in place of the meat! Both Multi-Grain Medley and Whole Grain Brown Rice can be ready in 10 minutes, making them the perfect side dish on their own, or added in soup or skillet recipes! Minute® Rice is a brand we all know and love and it's a great pantry staple that you can always have on hand! In today's recipe I used the Multi-Grain Medley! Because it comes in four pre-packaged bags, it's super easy to just open the bag and pour one in! No measuring required and it's 100% whole grain and gluten free! They are both non-GMO too, which is a bonus! Minute® Multi-Grain Medley is the newest product from the Minute Rice family! It's a delicious blend of Thai red rice, long grain brown rice, wild rice and quinoa! I really love this blend and the nutty flavor and nutrition it provides. 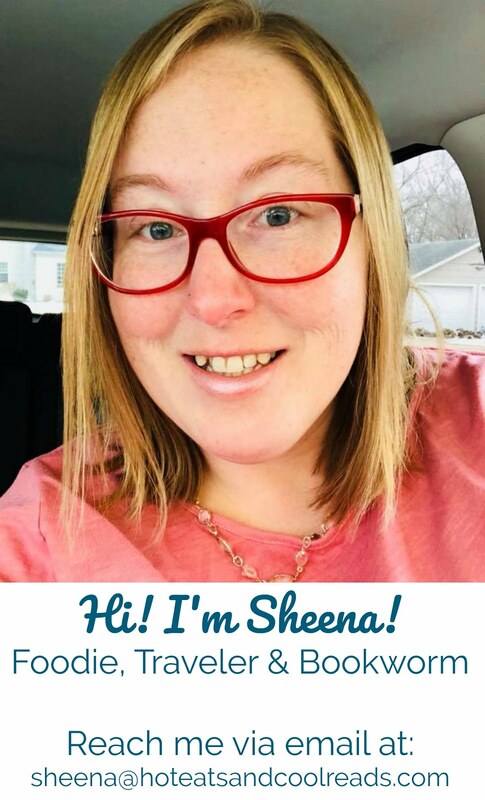 It will be a regular addition to our meal plan! I hope you enjoy this recipe as much as our family did! How would you use Multi-Grain Medley in your kitchen? Melt the butter in a 5 quart sauce pan over medium heat. Add the celery, carrots, onions and mushrooms. Saute for 5 minutes. Increase heat to medium high and add the chicken broth. Bring to a boil, then add the Minute® Multi-grain Medley and rosemary. Simmer for 12-15 minutes, until rice medley is cooked through. Then add the cream, parsley, salt and pepper. Remove from heat and serve! Also if you're looking for more recipes using Minute Rice products, you can now join The Riceipe Club® by clicking here! In addition to recipes, you'll also receive special offers in your inbox too! I love everything about this meal, especially how easy it is!! Plus, mushrooms and creams! Yes, please! What a fabulous meal for these cold, snowy days! 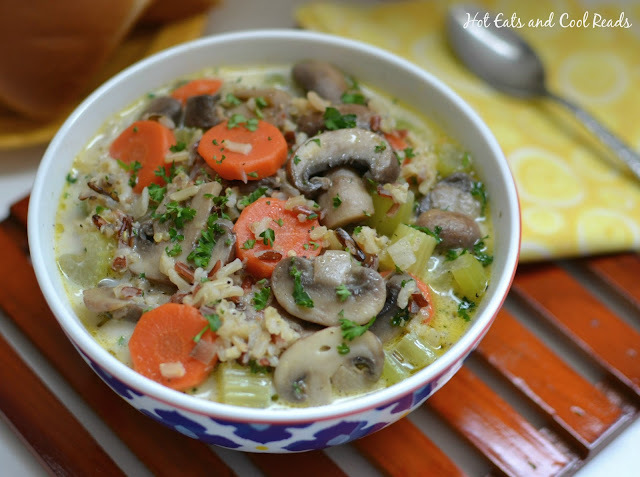 Mushrooms and rice are my favorite together, this soup looks perfect for a cold day! This soup looks healthy and delicious. Easy, wholesome, delicious - always a winning combination! My son recently moved to Minneapolis from Houston and the cold weather has certainly been a change for him, he loves it though. This soup looks and sounds like the perfect meal to warm up to. It's a gloomy, rainy day so this soup sounds perfect! Love that Minute rice now comes in so many different varieties. Makes this soup so delish. I love using Minute Rice. Your recipe is a great way to incorporate it into a delicious looking soup. Looking forward to trying the Multi-grain Minute Rice. I've tried the brown rice, but this one looks like is have a tasty nutty flavor. Perfect with soup! This is my kind of soup and one I know my husband would love too! I am all for snowy days as long as I can stay inside and stay warm, lol. Otherwise, nope. I am not a snow lover. 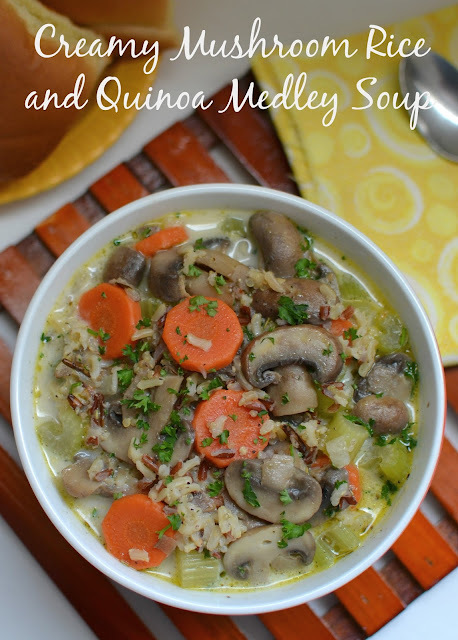 ;) This soup looks perfect for cozying up with on a cold, winter day.